You can see the ocean waves breaking from your living room! 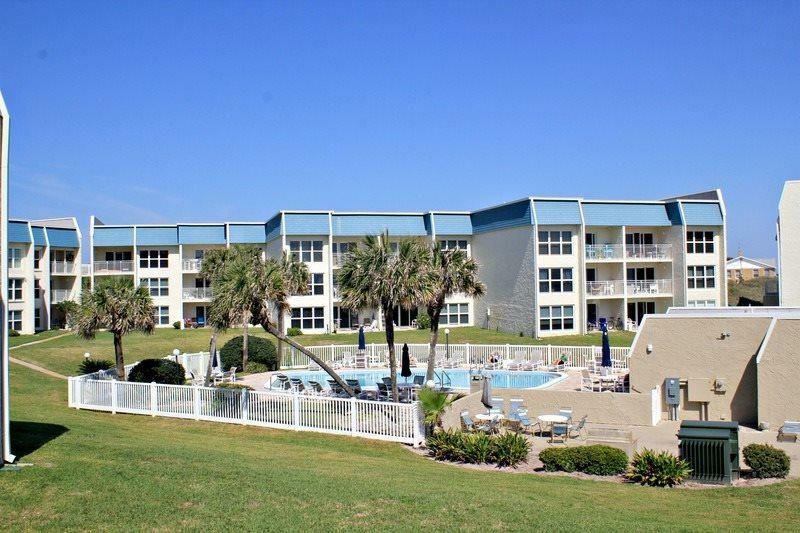 RARE opportunity to own a 2 br/2 bath ground floor flat with a bit of an ocean view in Tradewinds. 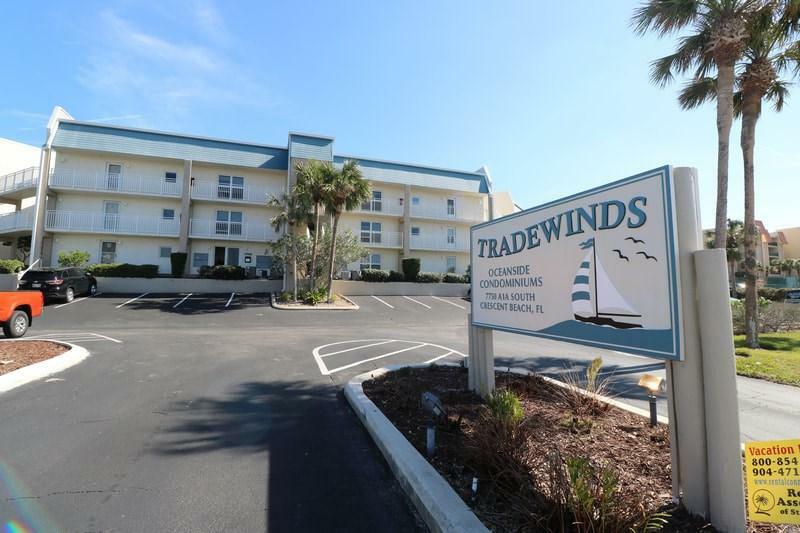 Other than a direct oceanfront unit that sold in September 2018 at $475,000, the most recent 2 bedroom Tradewinds unit to be MLS listed & sold was in 2015 --- over 3 years ago! Very nice layout. Tile flooring throughout. Minimum lease term is 1 week, except January through March, when it's 1 month. ICW dock/pier, boat ramp, and secure boat storage. HOA fees include an HD box with DirectTV choice package. 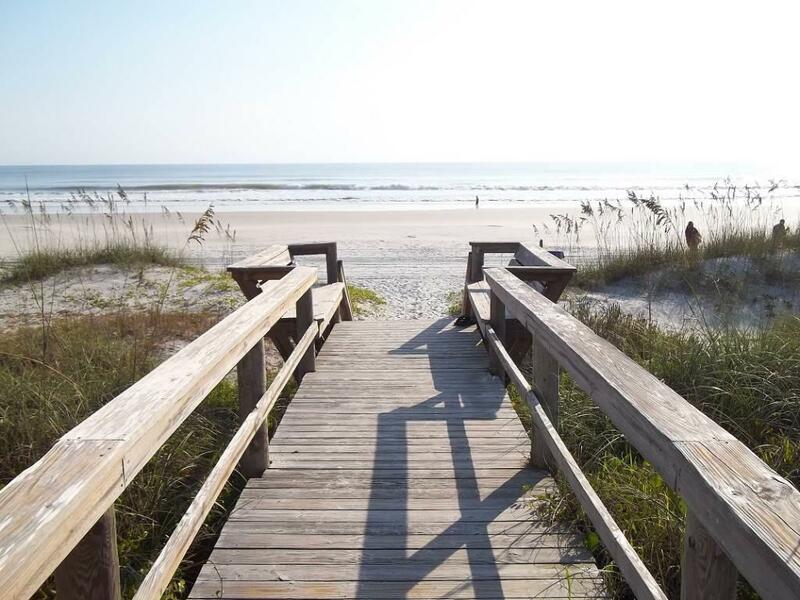 Boat ramp on the Intracoastal Waterway is brand new, and boardwalk is scheduled for resurfacing this year. Unit updating was done a good number of years ago, so some modern touches might be in order to make this unit shine . . . . but the location and the view will never change! 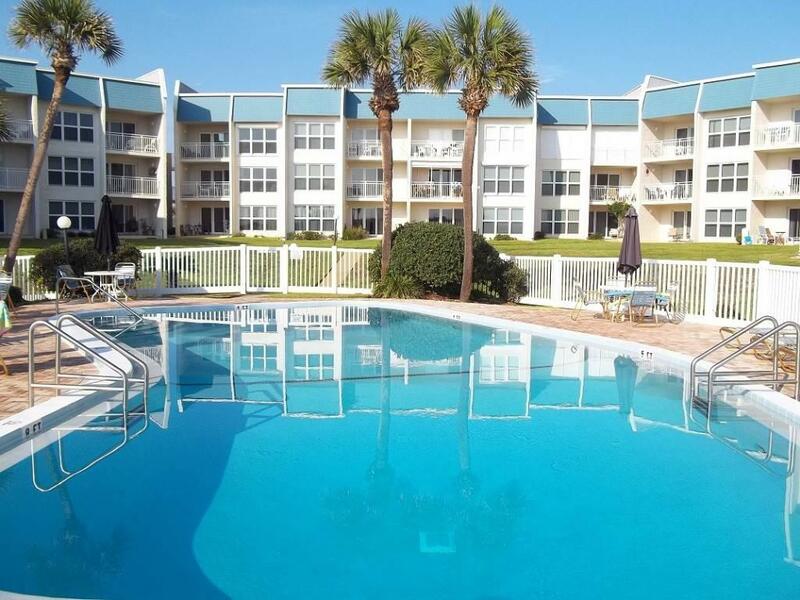 Listing courtesy of A1a Realty Associates.